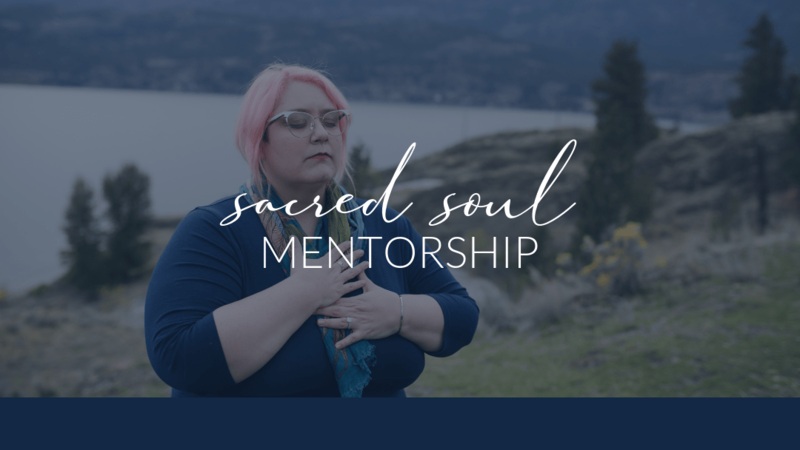 I created Sacred Soul™ Mentorship because I saw women living their lives craving for more depth, more connection, and a deeper sense of purpose. Whether they were running their own businesses, or working in careers that were financially fulfilling, there was still this sense of lack. And it wasn’t really fair. They’d followed all the rules that society set up and defined as the criteria for success, so why were they feeling pretty ‘meh’ about it all? It was time to start defining success on their terms, and then uncovering what was needed to get there. The journey with Sacred Soul™ Mentorship is one of radical honesty and self acceptance. 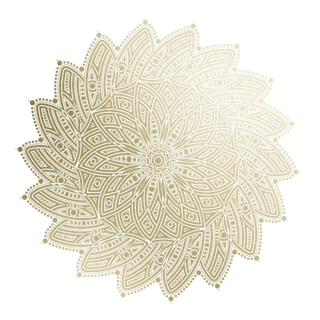 It’s a sacred container that explores the shadowiest bits that typically go unexamined, all with the help of your angels and Akashic Records. You will know yourself in the deepest way possible, at a soul level, and this degree of intimacy brings so much potential your way. More pleasure, more levity, more clarity, more abundance. All of it is waiting for you. 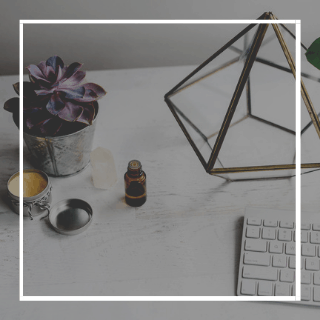 A coaching session with me includes insight and advice based on my experience in corporate marketing, neurofeedback, and aromatherapy. I use my intuitive tools: clairvoyance, clairaudience, claircognizance, and clairsentience. (Which means I can see, hear, know, or feel information from your angels and guides.) 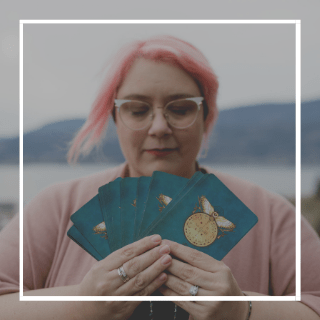 Lastly, I can access your Akashic Records to gather information from this life, past lives, or inherited energy – all in support of your highest good, your highest truth, and your highest purpose. All of the work is very permission-based, so we only go as deeply as you feel comfortable. All of our conversations are within a sacred container, where you are free of judgment, and can safely ask yourself questions that would’ve otherwise gone unexplored. With each call, we set the intention that any of the information received, and any of the releases that occur, be done with joy, ease and grace. To get the most out of your session, you’ll want to have one area in particular that you’d like to explore. Intention is the key element of powerful inner exploration. All calls take place over Zoom, unless otherwise agreed upon in advance. Zoom is a free video conferencing software, so you’ll want to allow yourself enough time to install it before the call so we can begin promptly. You’ll want to have a notebook handy for taking notes, and lots of water to help you move the energy. Sometimes Kleenex is necessary, but not always. Additionally, you’ll want to give yourself uninterrupted time during the call, and for a short while after so that you have the space to integrate and release anything that comes up. The fine-ish print: Any information you receive in our sessions is for educational, spiritual, inspirational and entertainment purposes only, and is not a substitution for any medical, legal, financial, psychological, or any other professional advice. Clients who invest in a 4 or 8 week package and pay in full will receive a Past Life Influence reading in their email’s inbox. – A 7-card spread with an intuitively chosen deck, performed on your behalf. – A photo of the card spread, staged beautifully and sized for Instagram in case you’d like to share on social media. – A recorded interpretation explaining the placement and meaning of the cards, and any additional messages that come through from your angels and guides. “Seryna has such a comforting, soothing presence. I received really helpful insight during our session and it’s definitely improved my outlook. Because of the messages received, I’ve been able to make changes that needed to be made, that I had been putting off with excuses and imaginary roadblocks. I’m looking forward to working with her again. I would recommend her to my bestie and I recommend her to you too.” Erin B.
I take your vision and my time very seriously and have a no refunds policy. I’m all in, are you? I’m Seryna Myers, a Sacred Soul™ Mentor and Brand Strategist. 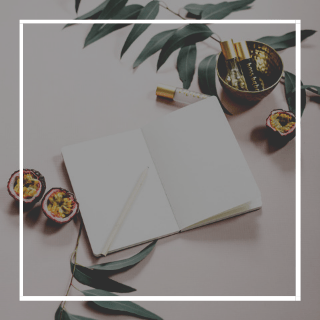 I’ve built my career helping women show up authentically in their lives, and their brands, removing all of the barriers to being fully seen and fully expressed. I use my intuitive gifts to peel back the layers and expose the heart of a situation, to know which questions to ask, and which supports to call in when creating a life with purpose, on purpose. 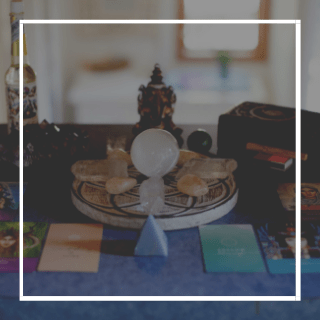 I’m a certified Akashic Records consultant, and Angel Guide and card reader, and have studied alternative modalities like aromatherapy, reiki, neurofeedback, crystal healing and more. 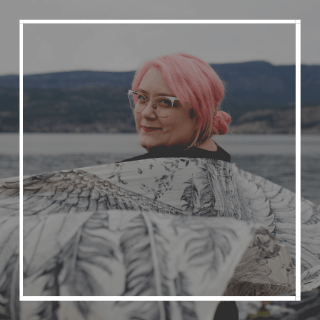 My service career has always been rooted in heart-driven support, whether it was in my corporate life, my work in alternative health, or my current coaching and design work. The Akashic Records hold all the knowledge, and wisdom your soul has experienced, in this life, the ones previous to it, and all the lives you’ll have going forward. Accessing this knowledge will take you deeper into your purpose. When you’ve built a life or a business according to someone else’s definition of success, the things that used to make you feel vibrant may feel a bit flat. When you deepen your connection with yourself, your angels and your guides, you uncover new ways to bring the sparkle back. Now that journey that once felt a bit lonely feels divinely supported and guided. Intertwining these supports with my own intuitive gifts allows me to bring more depth to my coaching, supporting you in a bigger and brighter way.